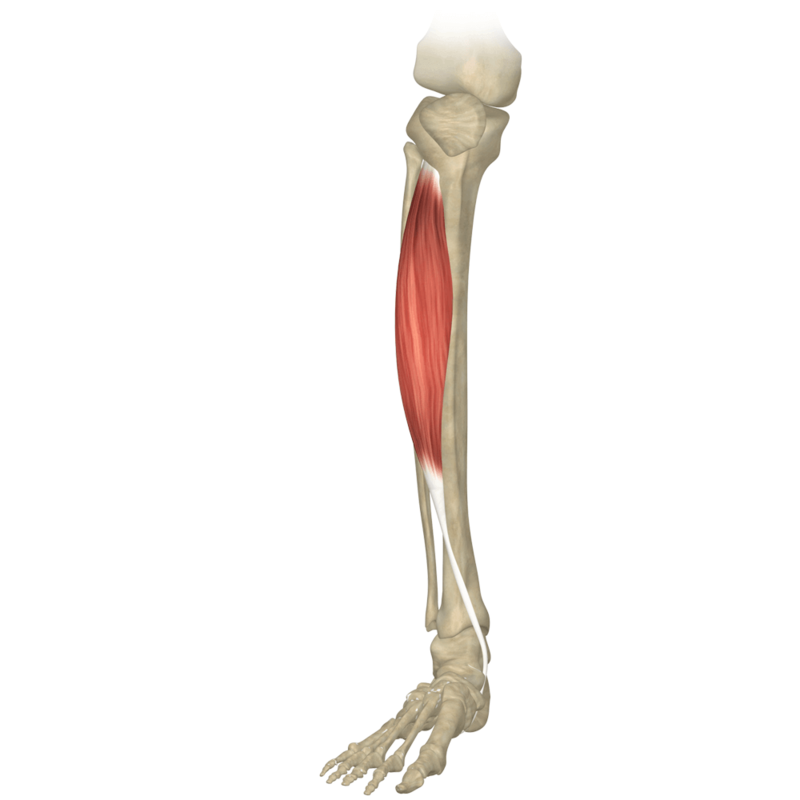 The tibialis anterior muscle is one of several muscles that we’ll look at which move the foot and ankle. It’s part of what is referred to as the anterior compartment of the lower leg and it forms half of the anatomical stirrup. 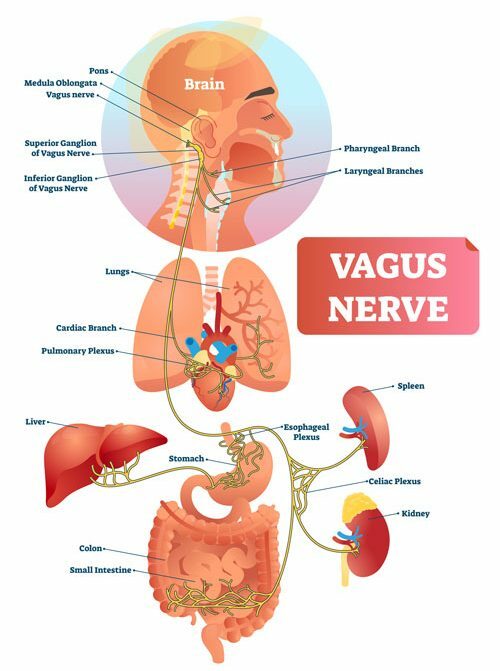 The other half is fibularis (peroneus) longus, and we’ll see it there again. This is the muscle that would be associated with shin splints and the inflammation of the connective tissue as it is pulled off of the tibia. What does the name of the tibialis anterior muscle mean? 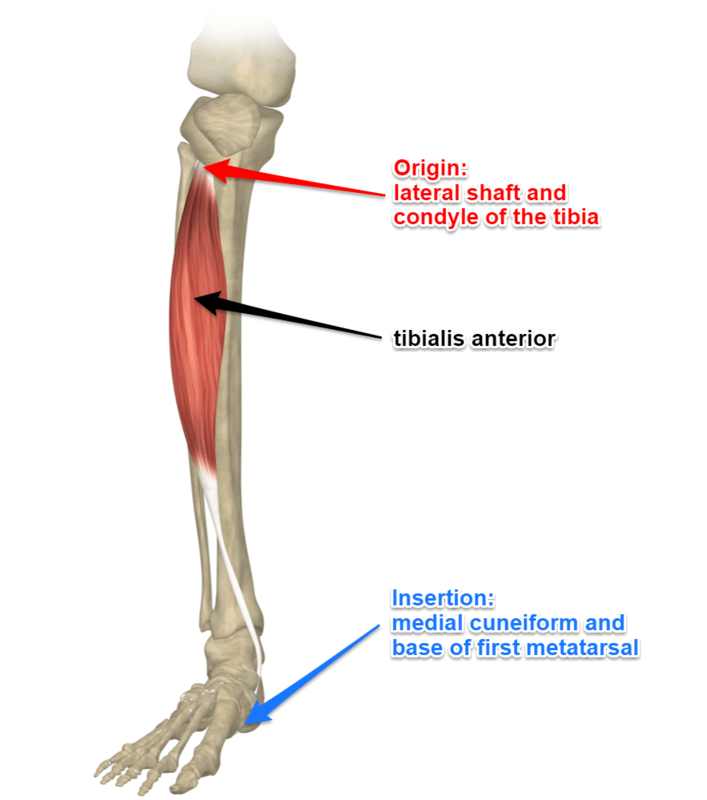 Tibialis comes from the Latin word “tibia” which means “shinbone”. Tibialis anterior is the tibialis muscle that is located on the anterior side of the leg. 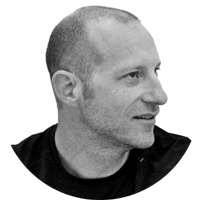 Where does the tibialis anterior muscle attach? 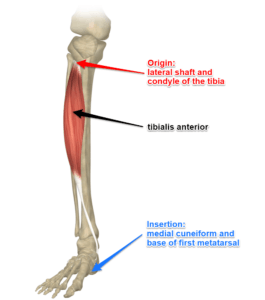 Tibialis anterior is located in the anterior compartment of the leg. Specifically, it originates on the lateral shaft and condyle of the tibia at the interosseous membrane. It inserts on the medial cuneiform and the base of the first metatarsal. 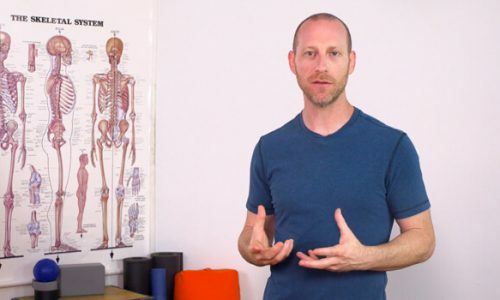 What actions does the tibialis anterior muscle do? Tibialis anterior is the strongest dorsiflexor of the ankle. It also creates inversion at the ankle joint. When we do balancing postures such as utthita hasta padangustasana, the tibialis anterior is usually in a constant state of contracting and relaxing as needed to help maintain balance. Even if we’re stable as in downward facing dog, a simple action such as lifting the toes causes the tibialis anterior to contract isometrically to stabilize the joint. Postures such as purvottanasana ask the tibialis anterior muscle to be long. Supta virasana is a good place to lengthen a muscle like tibialis anterior. The ankle is plantarflexed and definitely lengthening this powerful dorsiflexor.